The genus of bisons (Bison) includes two different species living at present: the european bison or wisent (Bison bonasus) and the american bison (Bison bison). They have near relations in classification and similar in exterior. Their hybrids are fertile unlike hybrids with livestock. Wisent has body length up to 3.5 m, weight up to 900 kg (up to 1.2 tons). It is the largest land animal of Europe. Its body is slightly compressed laterally unlike the bison. Sexual dimorphism or difference between males and females is very potently developed at wisents. The bull is larger than the cow approximate on one third and has more expressive hump. Caucasian wisent (Bison bonasus caucasicus) differed from lowland wisent (Bison bonasus bonasus) by dark curly hair and some other features. In the Holocene wisents were spread throughout Europe and more part of Asia. They inhabited sparse growth of deciduous trees with glades, forest-steppe and even steppe with floodplain and watershed forests. Wisents receded in wood in process territorial settling of human. Wisents were repaired after complete extermination in the wild. 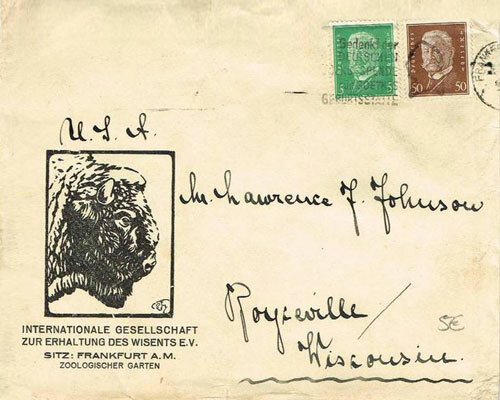 The Society for the Protection of the European Bison was established in 1923. In 1978, the number of wisents living on Earth exceeded two thousand and the wisent was transferred to the category of restored species. On February 22, 1980 Polish specialists from nature guarding captured a bull which was born in 1978 in the Belovezhskaya Pushcha. He was marked and registered in the European Bison Pedigree Book under the name Karat-2000. Modern wisents are completely forest animals which differ from steppe animals primarily by diet with great share of branches and leaves. In winter they eat almost exclusively bark, branches and lichens. They do not dig dry grass out from under snow. Deep snow is painful for wisents. Sexual maturation in 1,5-2 years, maximum growth to 5-8 years. The bull on 1/3 is larger than the cow. The rut mostly in August, sometimes only in September. Currently a clear mating seasonality (August - September) is broken. Wisents breed annually under favorable conditions. Pregnancy is 262-267 days. They feed up of calf till 5 months, sometimes up till the year. Fat content of milk up to 12%. A calf is eating grass from 19-22 days. Diseases: foot and mouth disease, anthrax, helminthiases. The rinderpest destroyed most of wisents in the early 18th century. Meat is the middle between beef and venison by taste. Bison is more massive than the wisent, its head is larger. It is largest land animal of America. Length of the adult bull is up to 3 m, weight up to 1 ton; cow is much less and easier. Two subspecies are distinguished within the species: plains bison (Bison bison bison) and wood bison (Bison bison athabascae). Wood bisons were discovered in the late 19th century. They differ from the plains bison by some characteristic features. Wood bison living in the north of his range are especially large and long-horned. Some scientists consider the wood bison to be the subspecies of the steppe wisent (Bison priscus athabascae) which has survived to the present day. A few thousand years ago wood bison was widespread not only in North America but also in Eastern Siberia. Up to the present time they have been preserved only in the deaf waterlogged fir-groves in the basins of the rivers Pis, Buffalo, Birch which flow into Athabasca Lake and Great Slave Lake. The bison range was from the Atlantic coast to the borders of Nevada and Oregon on the west according to Allen's research. Spread area was from 25 degrees to about 65 degrees north latitude and between 95 degrees west longitude and the Rocky Mountains. The total number of bisons was estimated at 60 million head by the beginning of the 18th century. The number of plains bisons was estimated at 50 million. The first trains in these places quite often stood idle at many hours while big bison herd passed through railways and the railway companies encouraged hunting for bisons. 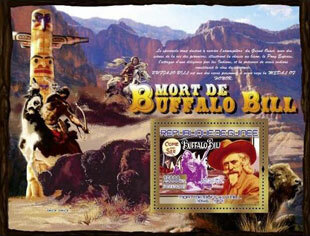 Destruction of bisons was called Great Slaughter. Bisons were killed for meat for hides and for amusement too. By the beginning of the 20th century bison was extermination almost in full. The species has survived as a result of effective rescue measures. The total number of bisons in nature reserves in the US and Canada is estimated at 30-40 thousand heads. They roved - in the winter to the south, in the spring to the north. The plain bisons fed on grass up to 25 kg in day, in winter with a herb rag. Wood bisons is additionally eat by branches and lichens. They can be fed under snow up to 1 m deep but are looking for least snowy areas. Winter thick fur protects the bison well even in 30° frosts. Rut in August-September. Pregnancy is about nine months. It on month shorter than of domestic cattle. Twins are extremely rare. The hide is excellent although a little friable is. The wool is as good as from sheep. Information on the comparative nutritional value of meat in the table below. Жизнь животных, том 6. Млекопитающие или звери (под ред. Наумова С. П. и Кузякина А. П.). М.: Просвещение. 1971. Зубр. Морфология, систематика, эволюция, экология. Соколов В. Е. (отв. редактор). М.: Наука, 1979. Кавказский зубр. Кулагин Н. М. (отв. редактор). Москва: СНК РСФСР. Главное управление по заповедникам, зоопаркам и зоосадам, 1940. Мак-Кланг Роберт. Исчезающие животные Америки. Пер. с англ. М.: Мысль, 1974. Перерва В. И. Возвращение зубра.- М.: Колос, 1992. Allen, J. A. The American Bisons, Living and Extinct. University Press, Cambridge: Welch, Bigelow & Co. 1876. Haines, Francis. The Buffalo: The Story of American Bison and Their Hunters From Prehistoric Times to the Present. University of Oklahoma Press. 1995. Sipko, Taras P. European bison in Russia - past, present and future. European Bison Conservation Newsletter. Vol 2 (2009), pp: 148-159.